The Super Bowl LI promised to be an exciting matchup between two of the toughest teams in the league. However, by the third quarter it looked like the Patriots were well and truly beaten. In order to restore some balance to the game, the New England Patriots needed to execute the greatest comeback in Super Bowl history; and that is exactly what they did. Demolishing a massive lead built up by the Atlanta Falcons, Tom Brady lead his team to a sensational win that took the game to the first ever Super Bowl overtime. The Falcons who had dominated throughout the game, led by 28 points to 3 in the third quarter. The Falcons defence was so solid; they did not give up a single touchdown until 18 minutes were left on the clock in regulation time. When the Patriots offence finally did come to life, they were unstoppable. The Falcons fumbled with the new found energy and committed a turnover to hand the Patriots a chance to even things out. In the fourth quarter, a sensational catch by Julian Edelman put the Patriots on level scoring with the Falcons with just two minutes left on the clock. With the touchdown in place, the Patriots managed to force the first ever overtime in Super Bowl history. After winning the coin toss, the New England team fired out of the gates, never even giving the Falcons a sniff of the ball. Tom Brady, who had pulled his team from the dregs of despair, orchestrated a massive eight plays, seventy-yard drive, putting them on the doorstep of victory. The long drive effectively ended the game when White ploughed his way through the Falcons to score the winning touchdown. This is the New England Patriots fifth Super Bowl victory during the Bill Belichick / Tom Brady era. The Super Bowl LI was widely considered to be a direct matchup between two of the top scoring offence players in the league. Matt Ryan, the NFL MVP was pitted against three-time Super Bowl MVP Tom Brady. With another win under their belt, the Patriots are already being billed as the team with the greatest dominance of any NFL team in history. 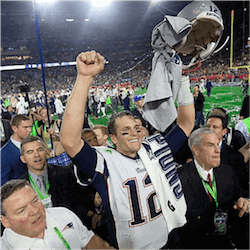 The Super Bowl LI saw Brady pick up his fourth MVP and become the first quarterback to win the final five times. Coach Belichick also racked up a few honours; surpassing Chuck Noll as the only coach with five Super Bowl Final wins. 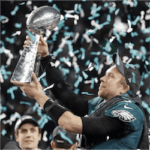 Nick Foles Leads the Eagles to Victory at the Super Bowl LII We all knew the Super Bowl LII was going to be a big game; possibly one of the …. The Super Bowl LII Even if you are not an avid American Football fan, the Super Bowl is one game that no self-respecting sports enthusiast is going to miss. 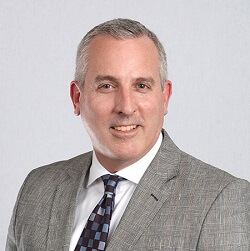 At …. 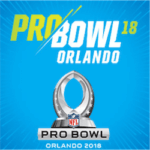 The 2018 Pro Bowl Round Up American football is one of the most popular online betting sports with punters all over the world betting on season games. This coming week, …. 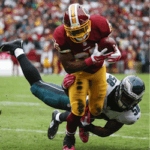 Eagles Defeat Redskins and Go 6-1 On the Season A brilliant performance by Carson Wentz saw the Philadelphia Eagles defeat the Washington Redskins by 34 points to 24. With another …. 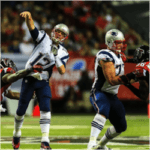 Patriots Defeat Falcons in Clinical Display of Football Mastery The New England Patriots executed a clinical 23-7 win over the Atlanta Falcons in what was essentially a rematch of the ….